Elly Alboim has taught at the school since 1980 at the graduate and undergraduate levels, specializing in television news and political reporting. In addition to teaching, Professor Alboim is a strategic communications and public opinion research specialist, consulting widely for public and private sector clients. Professor Alboim worked as a journalist for the Canadian Broadcasting Corporation from September 1970 to September 1993. 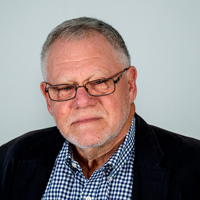 For the last 16 years of his journalism career (September 1977 – September 1993), Mr. Alboim was Parliamentary Bureau Chief for CBC Television News, Senior Producer of Live News Specials and National Political Editor for the network. He won one Gemini and was nominated for four others for his work in Special Events coverage. He was a founding Member of the Board of the Canadian Journalism Foundation and a member of the CJF’s Executive Committee. He was also a member of the Board of the Institute on Governance. He is currently a member of the Journalistic Oversight Committee at the Canadian Medical Association Journal.